Thank boltmarcus86 for another great fitness post! Cardio also known as cardiovascular, this is a system centers on the heart to transport blood through different parts of the body. This type of activity (aerobic exercise) requires a lot of oxygen throughout a prolonged period. Cardio exercise is very different from high strenuous exercise that involves very fast movements in short ruptures, a short break and repeating in a sequence mold. 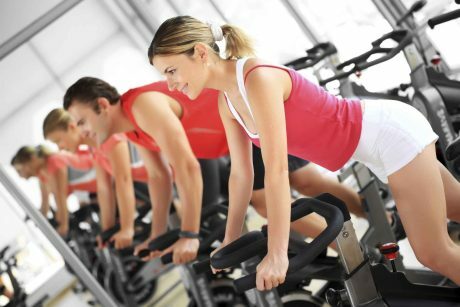 Cardio exercise is done for longer periods with or without break relying on the fitness level of the person. It includes walking, running, cycling, swimming, dancing etc. If you’ve been reading the Divorce Your Job & Keep the House series, you know we’re still on the topic of sales as an extra revenue stream. Below is an interview with Khalif Croom, who’s side gig is fitness related. Ms. ME: What’s your new business endeavor about? Khalif Croom: I’m an Executive Promoter for Body by Vi from Visalus. We offer a protein-enriched meal replacements, cereal, and cookies. We also help fight obesity in the community. Ms. ME: Tell me more about these meal replacements. KC: There is a protein drink for after you workout. It has more vitamins per serving than other products on the market. Ms. ME: What if I don’t workout regularly or at all? Would the product still help me? KC: Yes, it still works as a meal replacement and vitamin supplement, giving the body all the vitamins it needs. Ms. ME: Ok, so how do you all fix obesity in the community? KC: For everyone who uses the product and shows a before & after picture of losing 10 pounds in 90 days, Project Kids sends 30 healthy meals to charities to aid in fighting obesity. Ms. ME: So how can people contact you to get the products? KC: They can visit my website khalifcroom.myvi.net. Ms. ME: And for my readers who are looking for an extra revenue stream, how can they find out more about Visalus and joining your team? KC: They can view the presentations at overview.vi.com. The next DYJKTH post (coming soon) will have more tips for sales. Enjoy this post on shoulder exercises as the weekly fitness post for last week! Many people thinking that shoulder exercise is only for men but it’s not the truth because women also do shoulder workout. Region behind shoulder workouts is the shoulders become more defined resulting to the arms that are better looking for women. In excess of that, well-exercised shoulders help women to do their chores better because of their stronger bearing. The bend shoulders that most women dislike are frequently because of the lack of shoulder work out. However, bear in mind that shoulders are fragile and very prone to damage so it is vital to know your own ability and at the same time prepare with proper care. If you not care injured shoulders that would create difficulties from doing our daily chores.